Sai Sai Kham Hlaing or Sai Sai Kham Leng (born 10 April 1979) is a popular Burmese singer-songwriter, model and actor. He is best known for his hip hop music. Sai Sai is one of the Myanmar famous celebrities. Sai Sai moved to Yangon in 1996, signed with John's modeling agency, and became a male model. His first foray into the Burmese music scene Chocolate Yaung Yayge Einmet (Chocolate-Coloured Ice Dreams) was largely a failure. 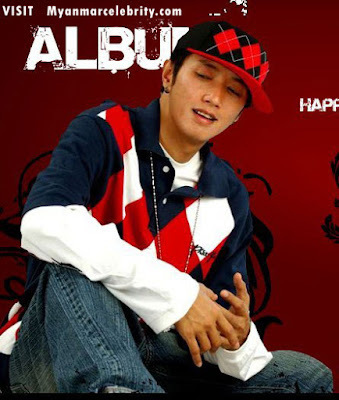 But his second album Thangegyin Mya Zwa (Many Friends) made him a superstar in Myanmar, attracting a large female (teenage) following ever since. Sai Sai Kham Hlaing has been released 6 solo music albums. Sai Sai Khan Hlaing is the boyfriend of Myanmar Cute Model Girl, Wut Hmone Shwe Yee. See Music Video of Han Tun, Called "Yin Khone Bat Thoe Tan Chin". Myanmar popular hip hop singer and actor, Sai Sai Khan Hlaing and Myanmar cute model girl, Wut Hmone Shwe Yee starred in this music video.